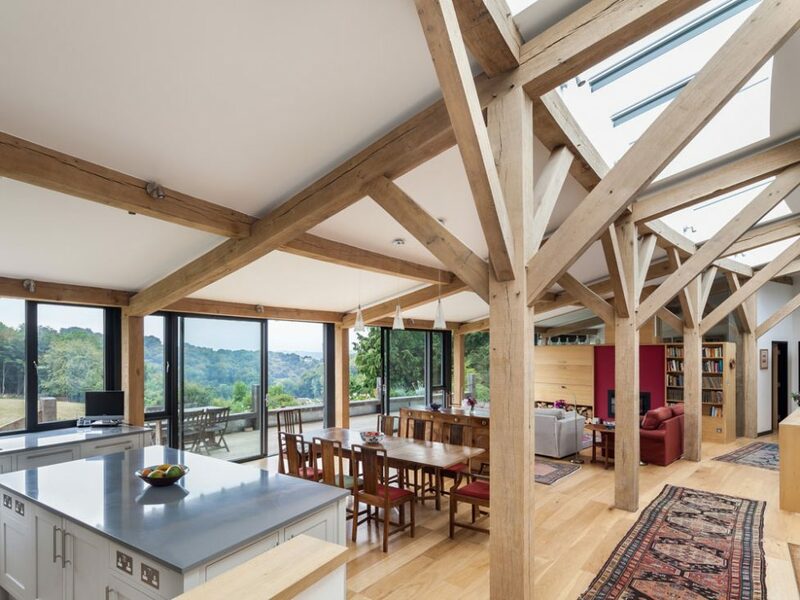 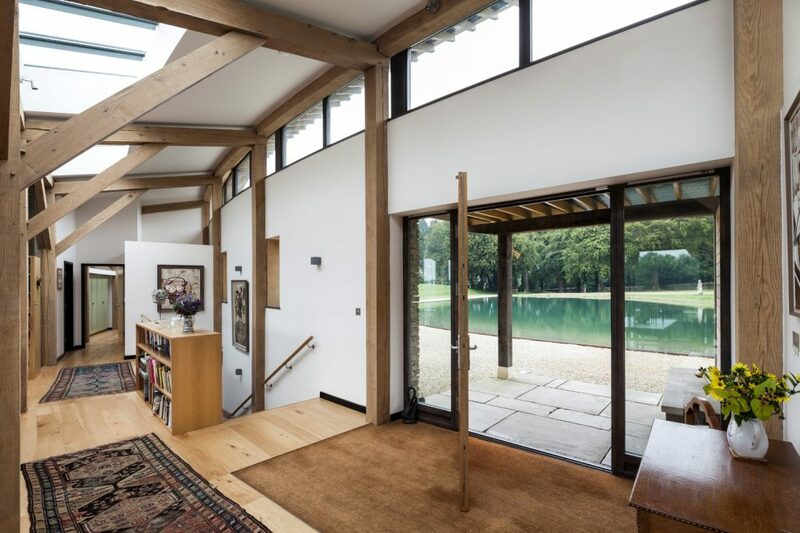 The opportunity arose to design an elightened contemporary oak framed house from a derelict group of tuberculosis sanatorium buildings, set in an idyllic woodland clearing with a stunning outlook to the South. 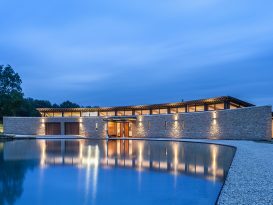 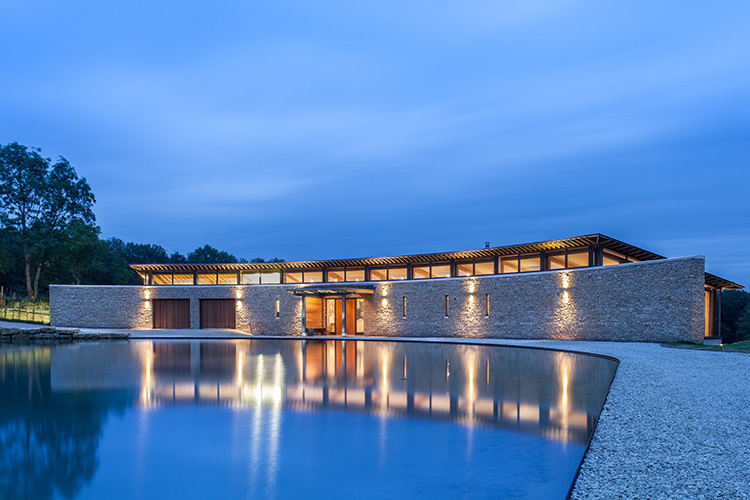 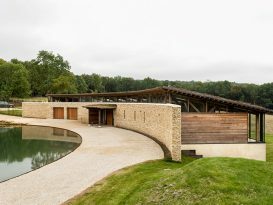 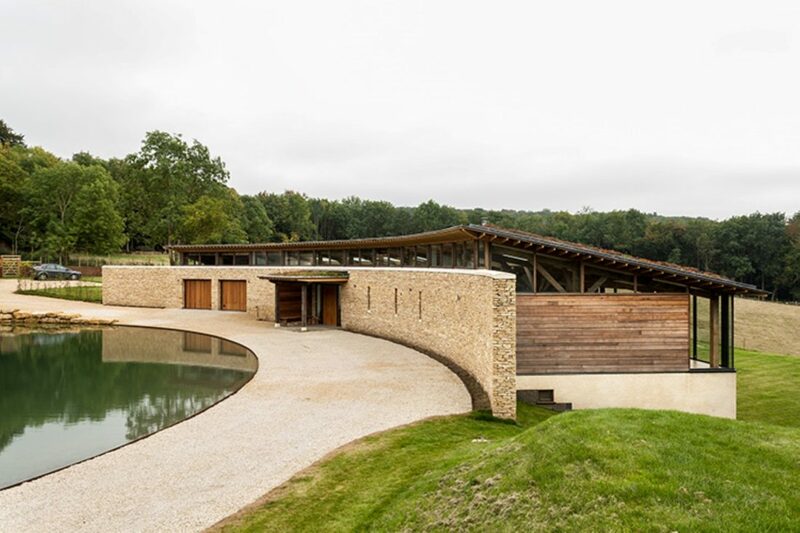 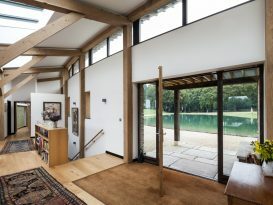 A bold, curved house plan cradles the end of a dewdrop shaped lake and completes the enclosure at the front of the house. 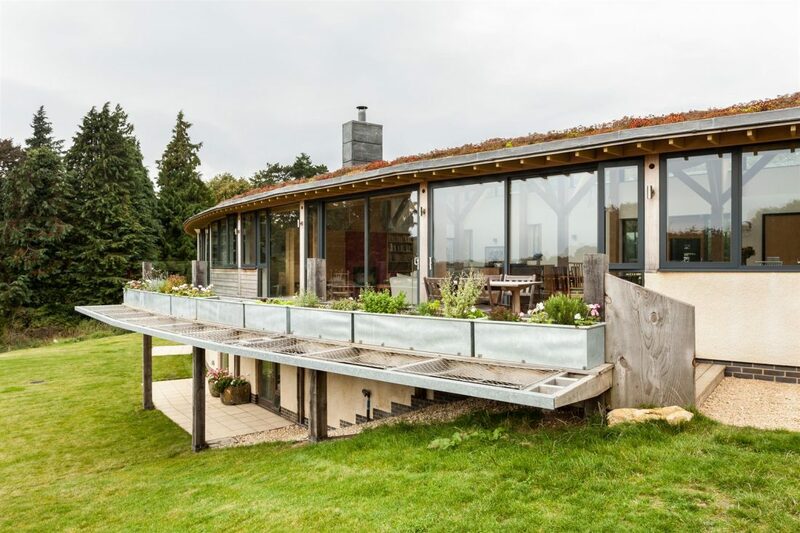 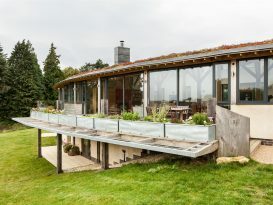 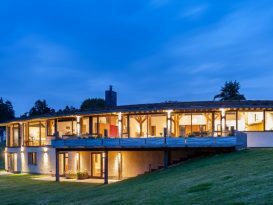 A simple mono pitched sedum roof is supported on nine tree-like oak columns on the upper floor with the bedrooms below. 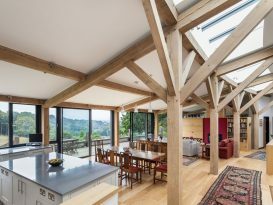 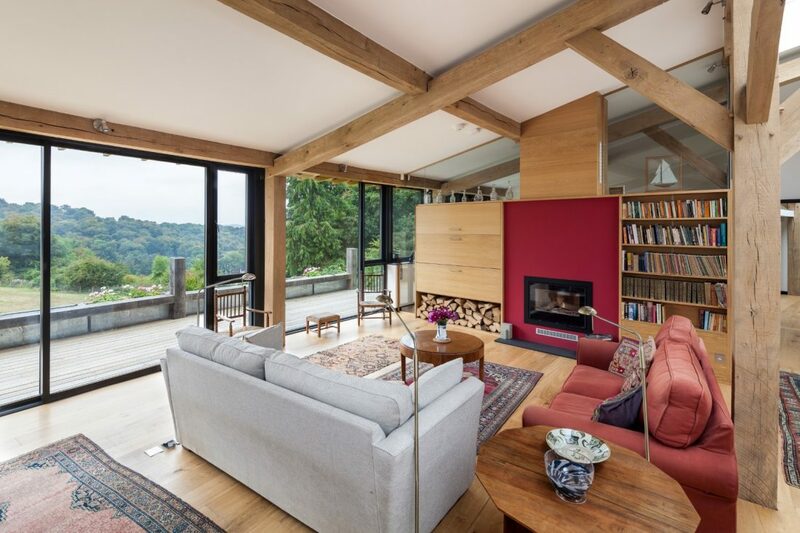 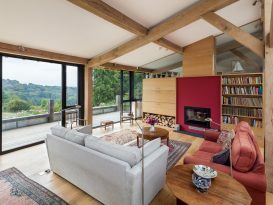 Load bearing masonry gives a refuge like feel to the bedrooms on the lower ground floor, whilst the open plan oak frame on the first floor makes the most of the views. Ground source heat pump, solar thermal and PV panels ensure a Code for Sustainable Homes Level 5 rating is achieved. 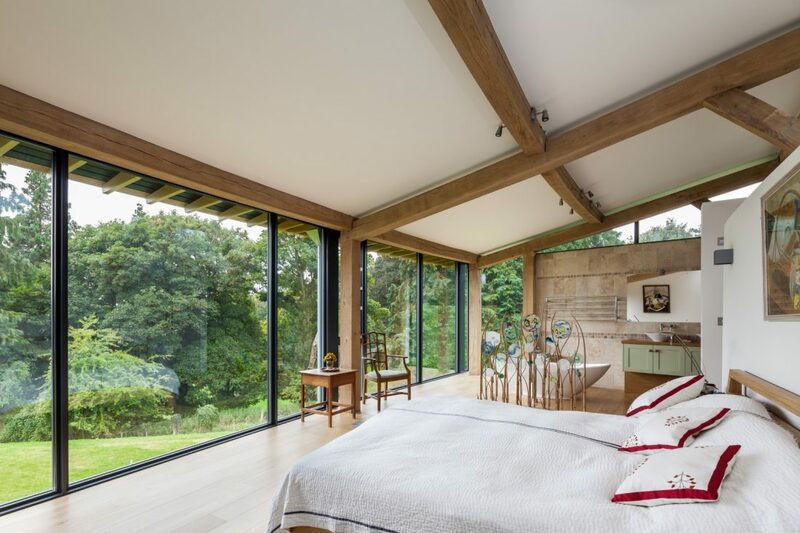 “We are so happy in the beautiful house that you have created for us. 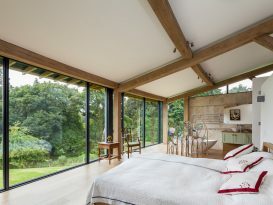 The feeling of space, calm and comfort, coupled with the surroundings makes it the home we always wanted…..